Face Front, True Believers! The New Fantastic Four Is As Bad As The Old Fantastic Four! This is the one you’ve been waiting for! There’s a new Fantastic Four movie out, looking to cash in on this cozy crazy comic book fad! It’s been getting terrifyingly terrible reviews and the ravenous reviewers at Rotten Tomatoes have given it a scintillating score of 9%. But don’t let my manic misplaced modifiers put you off, pilgrim! The ancient prophecy is true! Fantastic Four is as boldly bad as everyone says! Not even the merriest members of the Merry Marvel Marching Society will find much to marvel at here! This is the latest attempt to start a Fantastic Four film franchise. This time Reed Richards (Miles Teller) and Ben Grimm (Jamie Bell) are both unlikely teenagers. Dr. Franklin Storm (Reg E. Cathey) recruits Reed to help work on a “Quantum Gate” that will transport explorers to the Negative Zone. Instead of being transformed by gamma rays, Reed and his friends become super human as a result of going to Planet Zero and getting splashed by green goo. Reed has the power to stretch. Ben develops a rock-like hide. Dr. Storm’s son, Johnny (Michael B. Jordan), becomes a human torch while his adopted daughter, Sue (Kate Mara), is given the power of invisibility. It takes over an hour for Reed and friends to become fantastic and, even after they do, there’s no sense of wonder or excitement to Fantastic Four. It’s obvious that a lot of money was spent on special effects but there is not a single scene that can match the power or imagination of a Jack Kirby illustration. 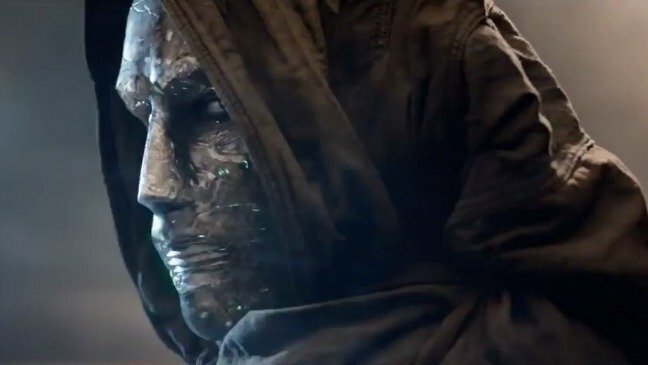 Worst of all is what is done to Dr. Doom (Toby Kebbell). One of Marvel’s most complex and iconic characters is reduced to being just another vaguely motivated movie bad guy. Fantastic Four feels like a throwback to the worst comic book movies of the 90s. Nuff said? This version of Fantastic Four was directed by Josh Trank, who previously directed the excellent Chronicle. Fantastic Four is so joyless and rudimentary in its approach that it feels like the anti-Chronicle. After the initial negative reviews came out, Trank tweeted, “A year ago I had a fantastic version of this. And it would’ve received great reviews. You’ll probably never see it. That’s reality though.” (He later deleted the tweet.) Perhaps studio interference explains why Fantastic Four feels so disjointed. It seems to be missing key scenes. For instance, do you remember all of those cool moments from the trailer? Most of them are not in the actual movie. If you count the never released Roger Corman-produced 1994 film, this is the fourth attempt to reboot The Fantastic Four. When I was growing up and reading comics, I never really cared about The Fantastic Four. The only time I ever read Fantastic Four was if they were doing a crossover with the X-Men or Spider-man. I knew they were important to the history of the Marvel Universe but they also seemed old-fashioned and almost corny. It’s hard to take seriously a scientific genius who can not come up with a better name than Mr. Fantastic. 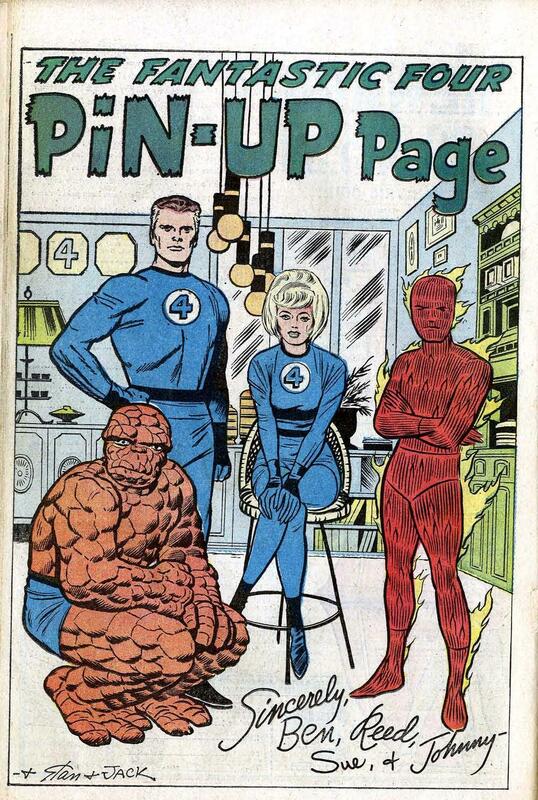 As characters, the Thing, the Human Torch, the Invisible Woman, and Mr. Fantastic all feel like they still belong in 1961 and maybe that is why all the recent film adaptations of The Fantastic Four have failed. Perhaps the fifth attempt should take a retro approach and set the story in the 1960s. Perhaps then the flashy, fulsome, and far-out Fantastic Four will get the marvelous movie masterpiece that they deserve! 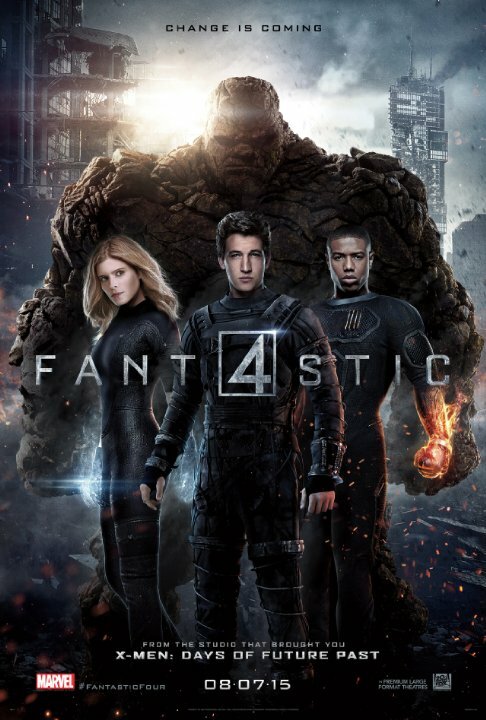 This entry was posted in Film, Film Review and tagged Fantastic Four, Jamie Bell, Josh Trank, Kate Mara, Michael B. Jordan, Miles Teller, Reg E. Cathey, Tim Blake Nelson, Toby Kebbell. Bookmark the permalink. The best FF adaptation still remains the 60s Hanna-Barbera cartoon series!